Monitoring is all about NOW. Customer service and sales processes are complex and as well as analytics for looking into the stored data, you need a real-time view on what is going on with calls and agent activity. 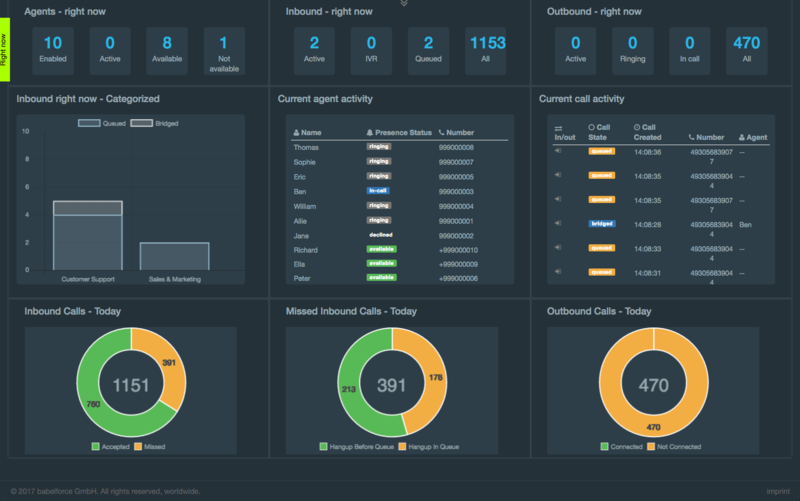 babelforce provides out-of-the-box dashboards ready to put on flatscreens in your call center or offices. You can also configure different dashboard views to focus on brands, territories, teams, specific queues. The dashboards can also be customized to include data and metrics for specific campaigns or specific service or sales processes. All the metrics and widgets in babelforce dashboards use APIs. So you can also add these to your own systems. For example, many businesses combine the data from babelforce with data from the support helpdesk, CRM, or from internal data sources. You can decide to put these metrics on Geckoboard, Cyfe or any other dashboard solution. We free your data and make call center analytics visible. babelforce can run your IVR, your call center, your inbound and outbound phone lines and SMS services. But you need the data and metrics on the phone channel combined with all other channels. 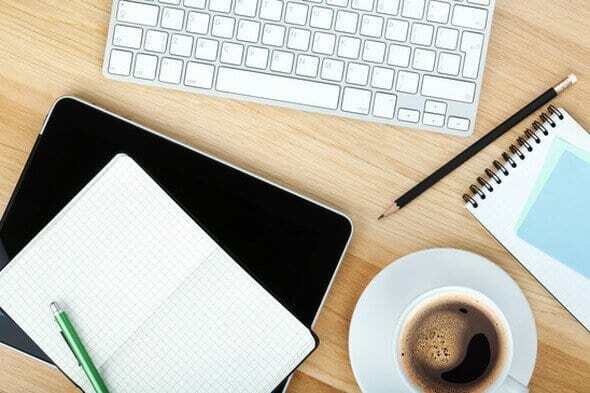 That’s why we give you the ability to automatically get all data on calls and call center processes into your single business intelligence system. Some customers do this with their Zendesk or Salesforce or Freshdesk or Zoho reporting, others use a company wide business intelligence solution like Tableau, Pentaho, Microstrategy, Qlik … The choice is yours: we just make sure that you have the freedom to do what you want with your data. Integrate any business processes with no coding needed!